Finding the Place is Easy… It’s once you’re here that you’ll get lost… The Spa at Norwich Inn, an extraordinary place hidden within historic country surroundings. Thirty-Seven treatment rooms, a Fitness Center, Indoor Pool, Relaxation Room, Sauna, Steam Room, Hot Tub, Salon, signature services and product lines, fitness classes, and activities are all designed to redefine the idea of health and wellness. 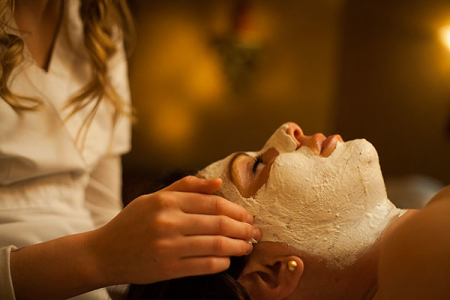 Make no mistake this is a pampering spa, where treatments both relax and stimulate your senses. If this is your first spa visit, relax. Our staff will answer all your questions, and their caring, personal touch will ease any apprehensions you may have. We pride ourselves on creating an environment that fully supports the mindful rejuvenation of body, mind, and spirit. All day spa guests are invited to join us for complimentary afternoon tea from 3:00pm to 4:30pm as well as a wine tasting between 5:00pm and 5:30pm. Additional fees apply for service enhancements including texture, length, design and chemical enhancements above and beyond the service menu. Short hair is defined as above the shoulders and long hair is defined as touching or below the shoulders. Please consult with your stylist for an accurate understanding of fees and charges. Pricing plus applicable gratuity, service charge and sales tax.